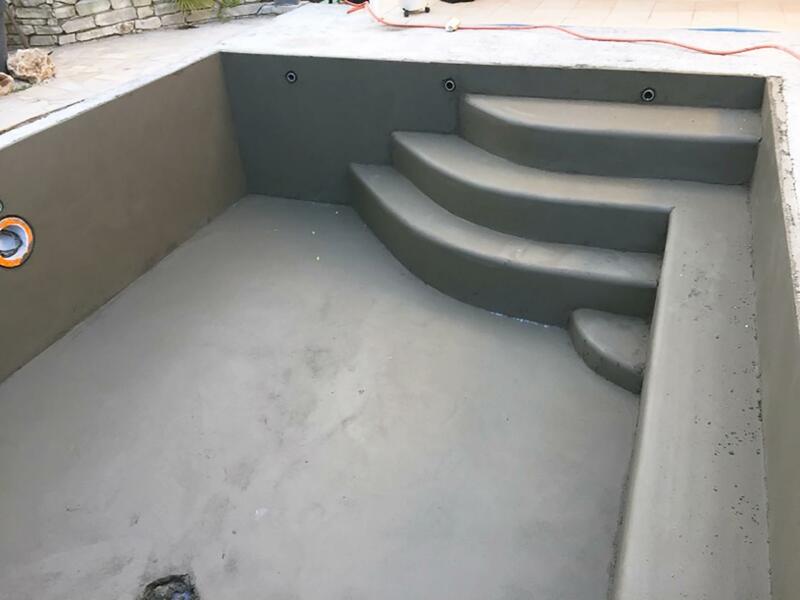 Impermeability is crucial to the durability of your pool. 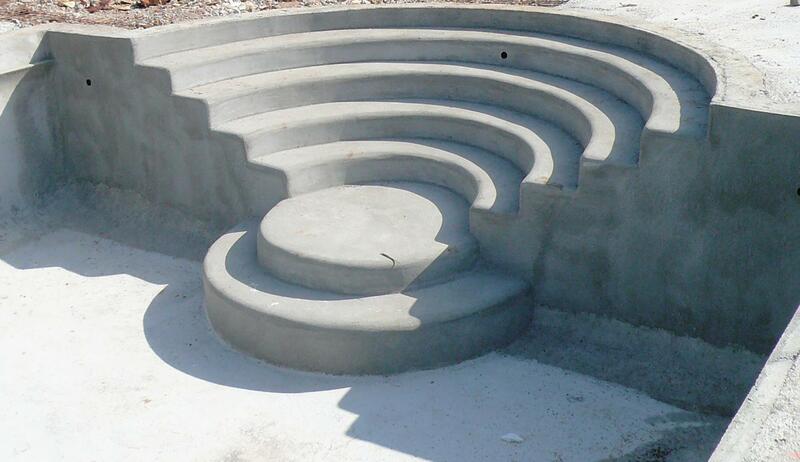 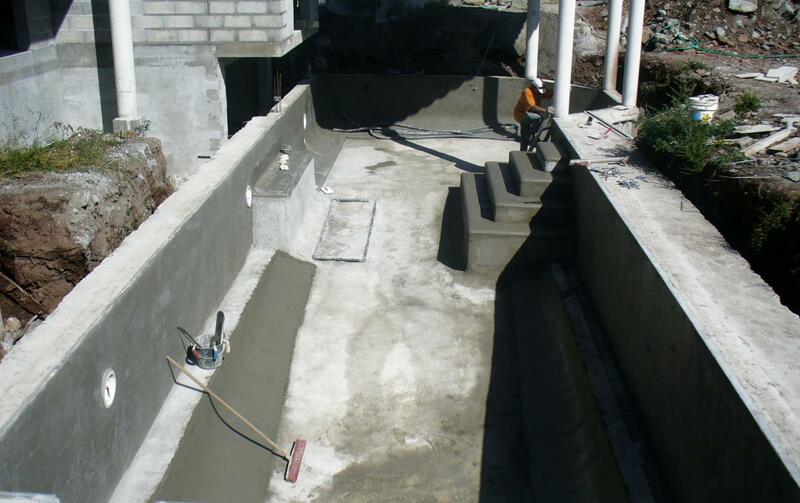 Concrete walls only are not enough to guarantee the total waterproofness of your pool. 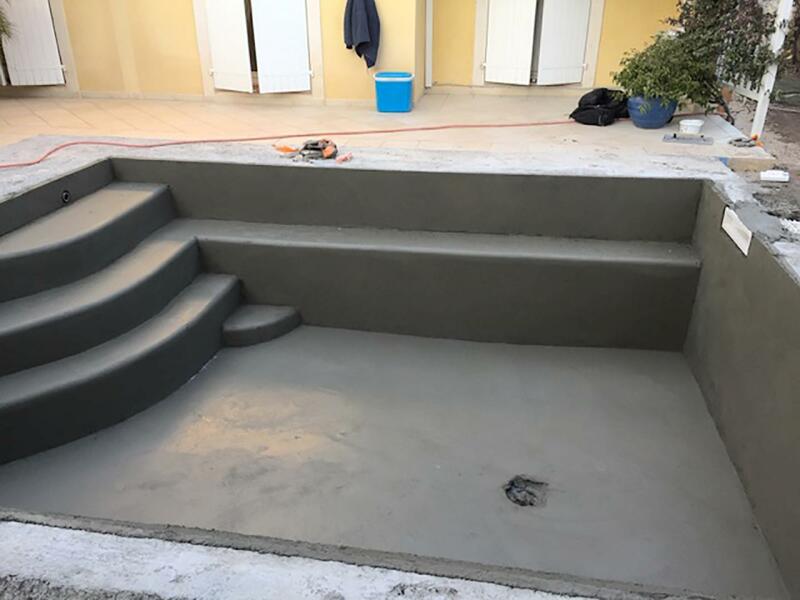 Therefore, we use a water-repellent primer, applied to all the pool walls before the final coating. 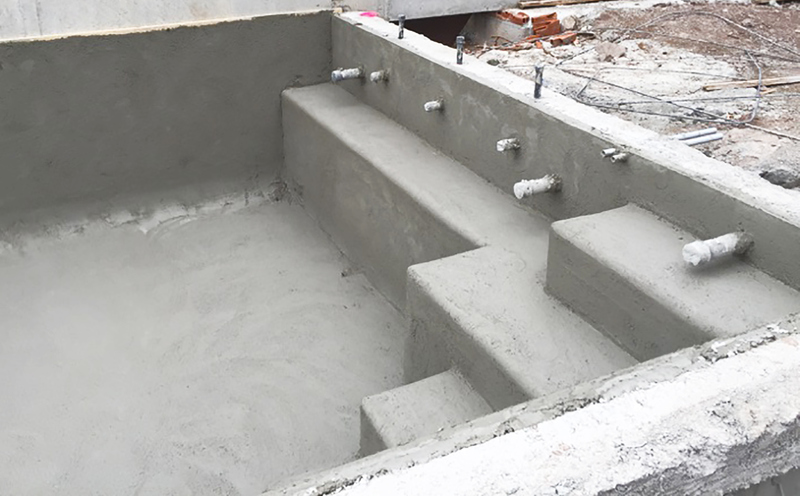 This mortar dosed-out at 500 kg contains a high quantity of latex for a maximum resistance to water pressure. 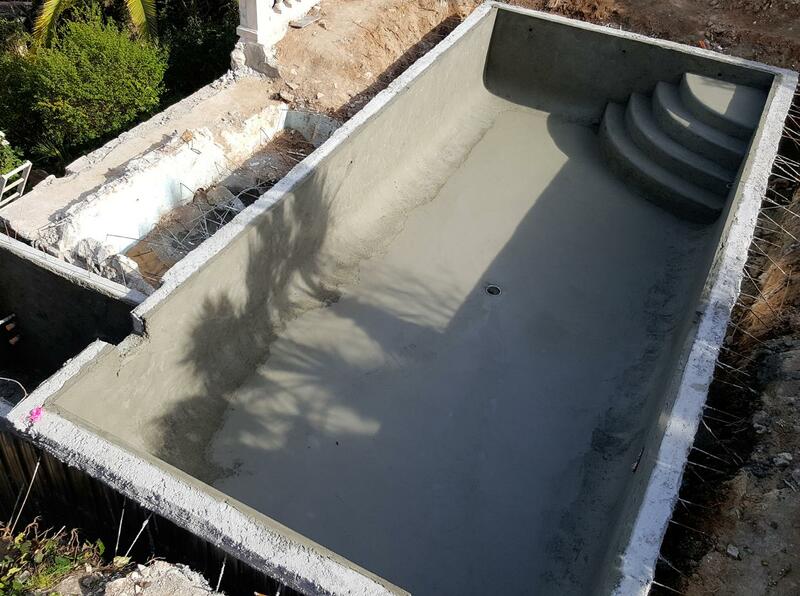 The final shapes having been determined at the stage of concrete pouring; this primer will be added in equal layers of 4 cm in 3 layers. 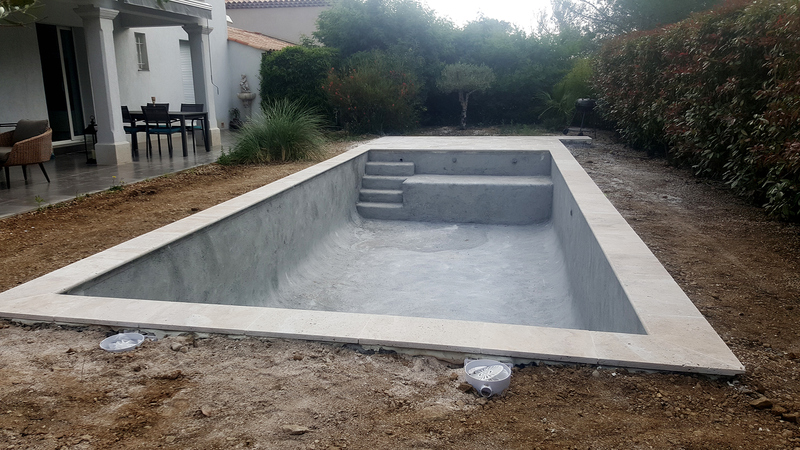 At this stage, the pool is completely water tight, with a ten year guarantee.